Eyebrow Lift Cost - What Is Included? You might be surprised to learn how much eyebrow lift cost can add up to, and might not be considering the full scope of what’s included. It’s not just the doctor you have to pay, if it was, everyone would be jumping in line to get their turn at an endoscopic brow lift. The truth is, there are many costs involved, and you might be spending a lot more than other people depending on which doctor you pick and where you live. Unlike a natural face lift, having the invasive form, as in an eyebrow lift, involves medications, a surgeon, and being put under, and all of this costs money, lots of money. 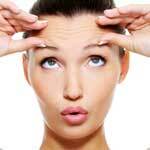 The average eyebrow lift cost across the United States ranges from $2500.00 to $7500.00. That is a HUGE gap, and it is largely dependent on the skill and reputation of the surgeon, and where you are located. Looking to have a brow lift procedure in New York City? Then please, open your wallet. Eyebrow lift cost is greatly affected by geographic location, and for people residing far away from cosmopolitan metropolises, their costs will be far less. The nuts and bolts of what charges you are likely to incur with your eyebrow lift cost cover everything from the cutting to the medication. You will want to be aware of every charge you will be expected to pay up front so as not to be shocked at your bill when you’re done. Your first charge will be the anesthesiologist. He or she is a different physician than the one doing the cutting, and will want a fee for their services and that special gas. The facility will also charge a fee that will need to be factored into your eyebrow lift cost, your doctor isn’t doing this in your basement, and you have to pay for the use of the facility during the procedure and recovery. You also will be responsible for paying lab fees, these are necessary to determine your overall health before the procedure, and then of course, you have to pay the surgeon. Don’t forget about medications. You may be given medicine after the procedure, and it’s not free. Remember that brow lifts are often performed in conjunction with other cosmetic procedures such as laser resurfacing, and therefore the total bill can be quite higher. Reviews as to the effectiveness of brow lifts are mixed, and all recipients will likely experience swelling and bruising afterwards. If you are considering a brow lift, schedule a consultation with a reputable plastic surgeon to discuss your desires and concerns. He or she will also likely be able to give you a better grasp on your expected cost based on their charges and geographic area. Hopefully, the consultation will be free and you won’t have to add that in as another additional cost!